Carla is tired…what is she tired of? Everything. For years she’s been someone she’s not, and now she’s finally cracked. But what if instead of taking her life…she takes up a hobby? Earlier her friend, Michelle had showed her this magic trick that makes your wishes come true. What if Carla starts making wishes… simple at first…then slowly starts inclining to where Carla becomes wish crazy? And to make matters worse they start coming true! 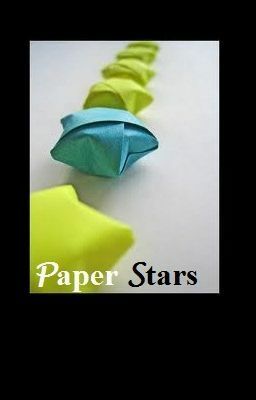 Before Carla can stop it everyone she’s ever known is swept up in the magic of the Paper Stars. She soon realizes the true meaning of ‘be careful what you wish for’. Carla must stop the Paper Stars power but how? After all they are just slips of paper.